Comm Eye Health Vol. 31 No. 103 2018 pp 67. Published online 09 November 2018. Clinical Lecturer and Ophthalmologist: Mbarara University and Regional Referral Hospital Eye Centre, Mbarara, Uganda. 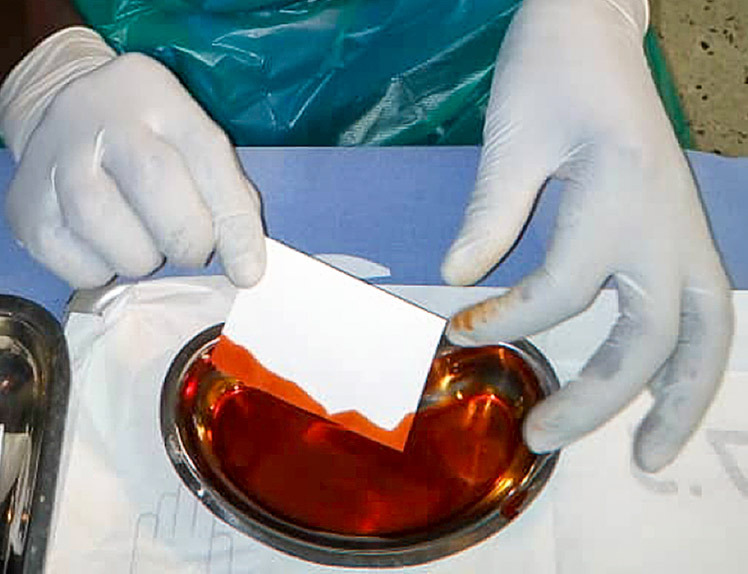 Fluorescein strips are an essential diagnostic tool in eye care. They are useful for performing a number of procedures, such as measuring intraocular pressure, assessing dry eye and detecting corneal abrasions. Unfortunately, this basic item is not commonly available in many resource-limited settings. 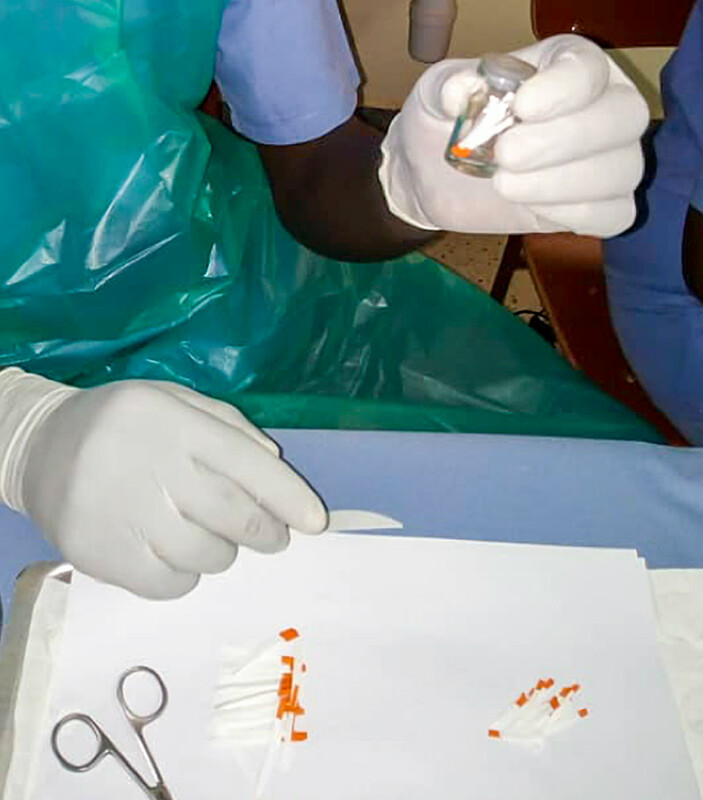 Here we describe how we make fluorescein strips at Mbarara University and Regional Referral Hospital Eye Centre. Sterile gloves, mask and apron. 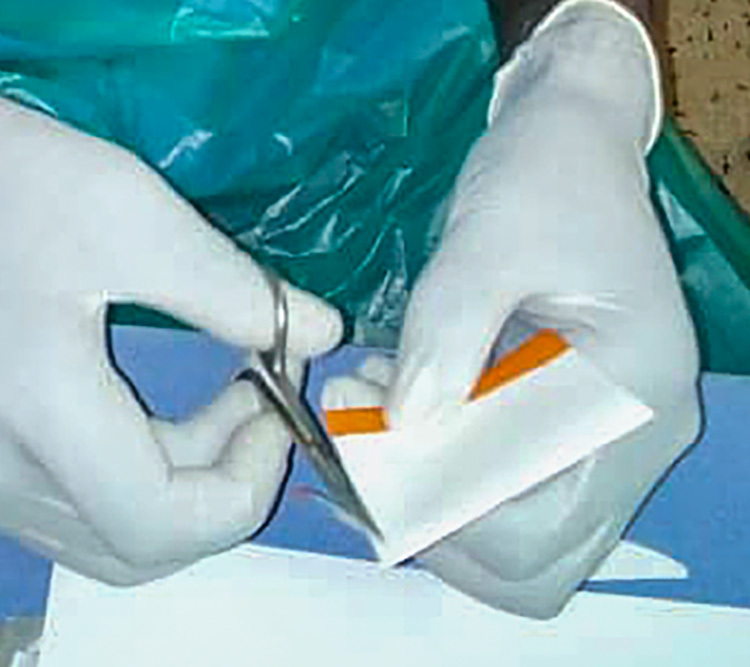 Store the strips in a sterile, sealed container (Figure 3).